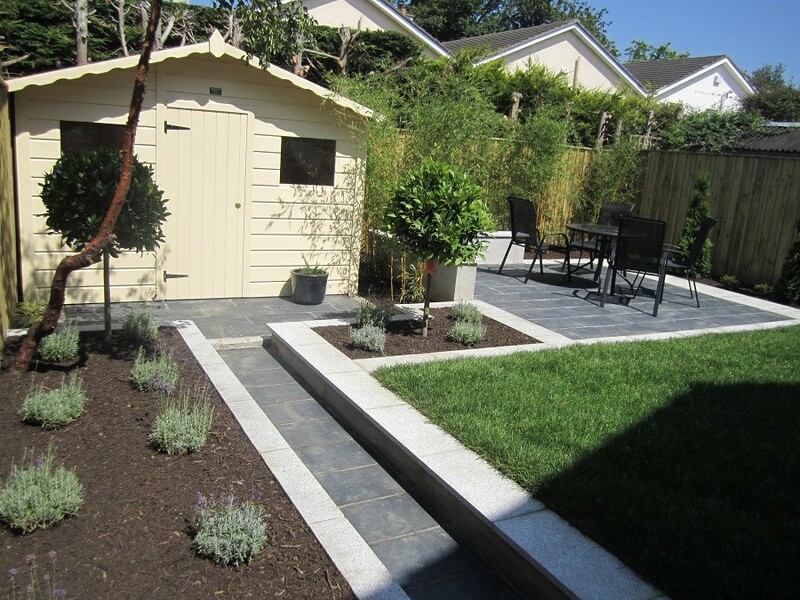 Home / Blog / Landscaping Dublin Project, Leopardstown, Co Dublin. 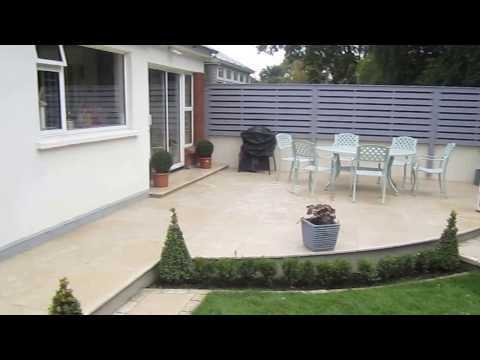 Landscaping Dublin Project, Leopardstown, Co Dublin. 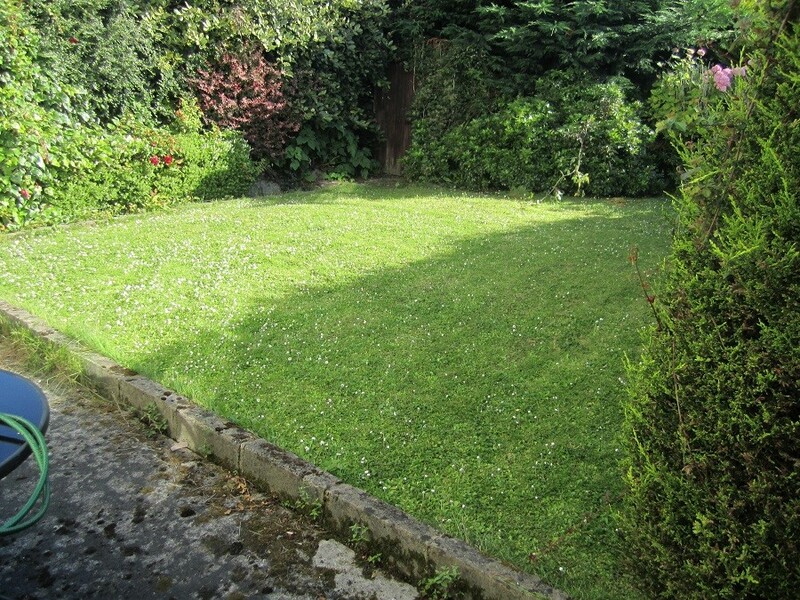 This client got my details from the internet via my website Landscaping.ie. 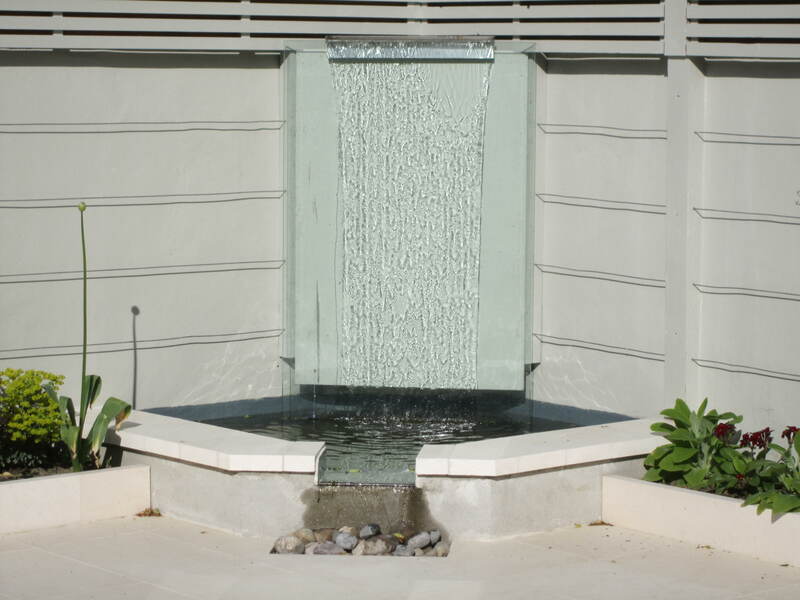 He wanted a landscape designer to come up with ideas for the front and back of his newly bought property. The aspect of the house was, front South facing, back North facing. 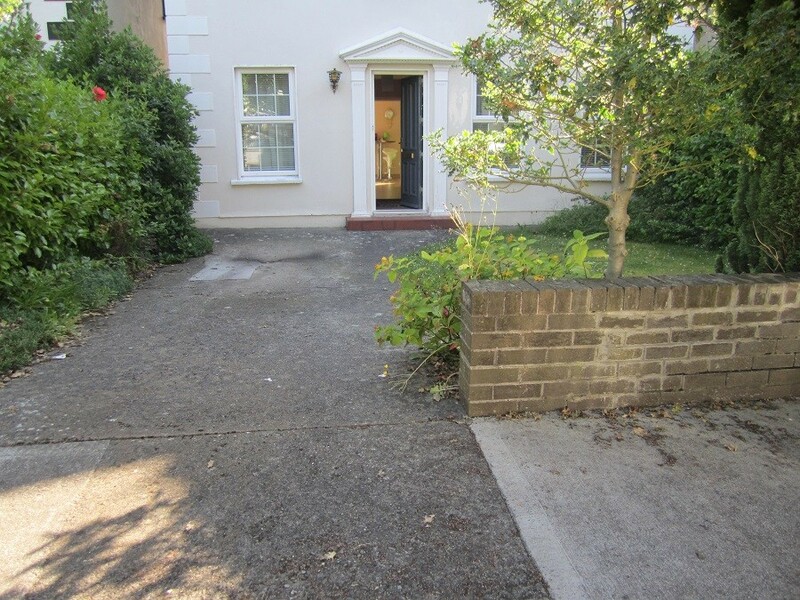 The front garden had a slab of concrete for parking accessed by a tight entrance. The red brick wall adjacent to the road was cracked and lifted due to a large Juniperus conifer. 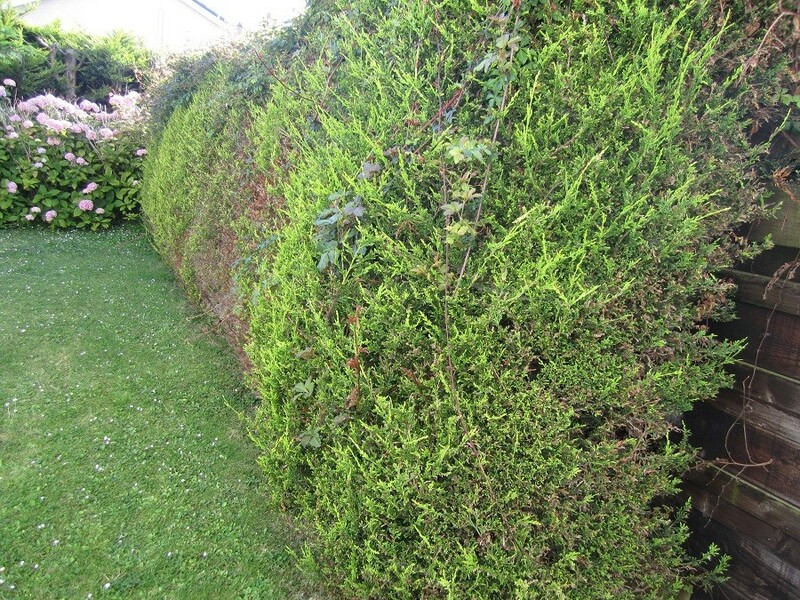 The space was bordered by Grisellinia hedging on both sides in need of attention. 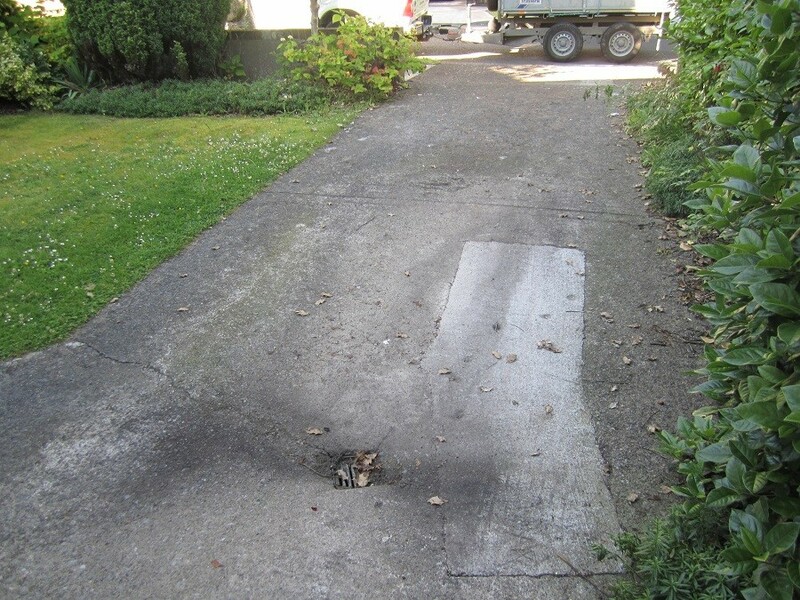 There was a lawn beside the slab of concrete, and concrete path and step in front of the house. 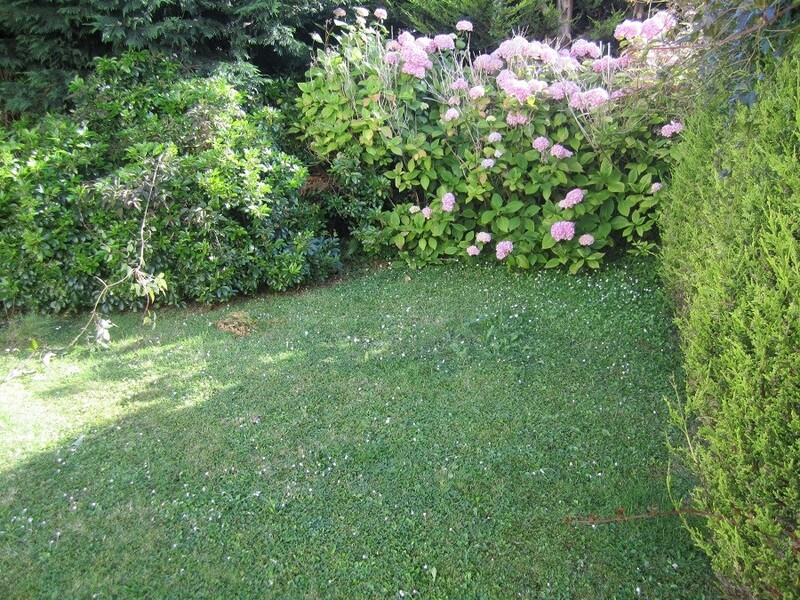 The whole area sloped towards the house. The access to the back was good and would pose no problems. 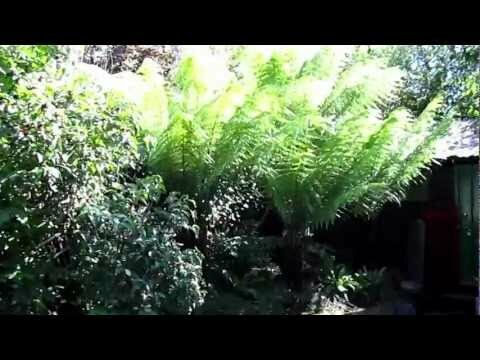 The back was like a jungle, everything was overgrown and in decline. 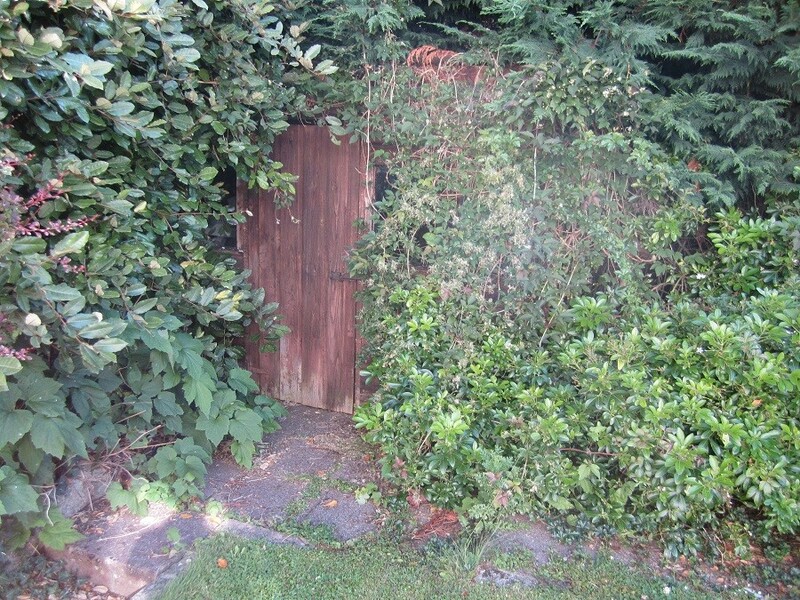 There was an old shed covered in large overhanging branches from the neighbours, an old dis-used oil tank up on blocks. 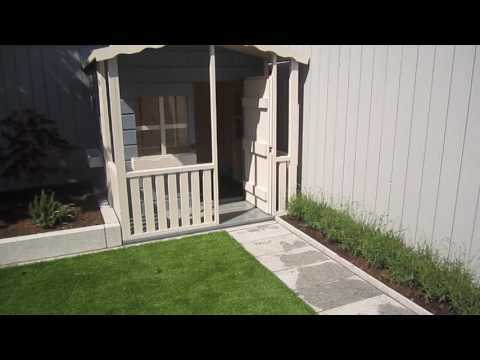 The entire surrounding fence was rotten and falling down and the lawn was in bad shape. Armed with the above brief I created a design which covered all areas apart from garden lighting which put me over budget, but was able to include wiring for future garden lighting. 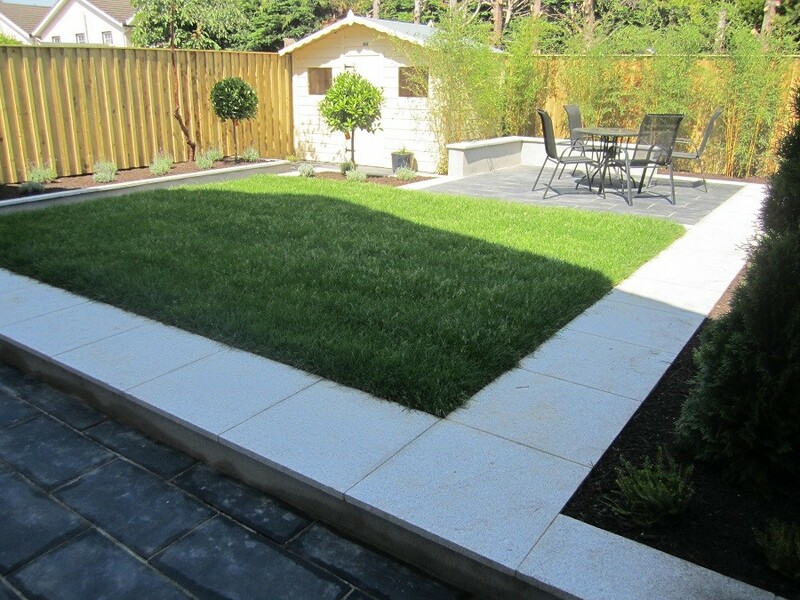 After 2 weeks I returned to present the garden design and quotation. 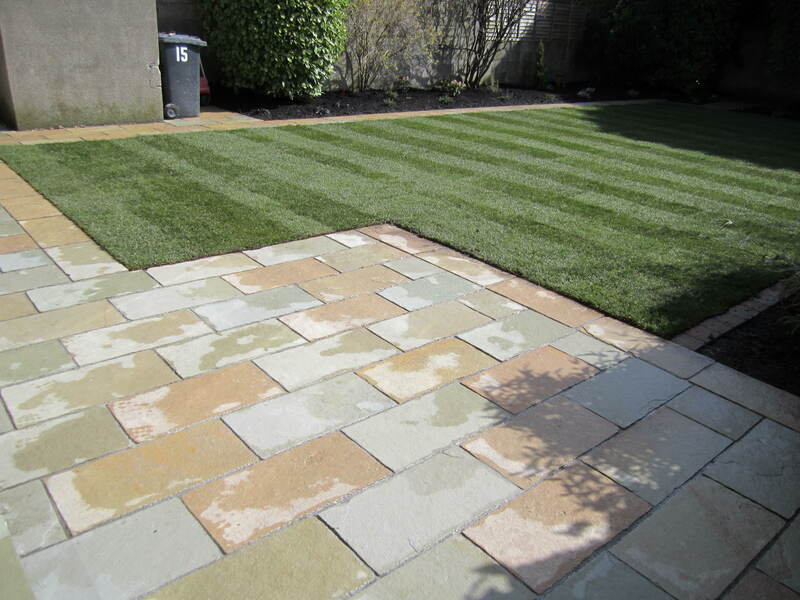 Happily both were accepted by client with the inclusion of Garden lighting. On reciept of 10% deposit we nailed down a suitable date for commencement. 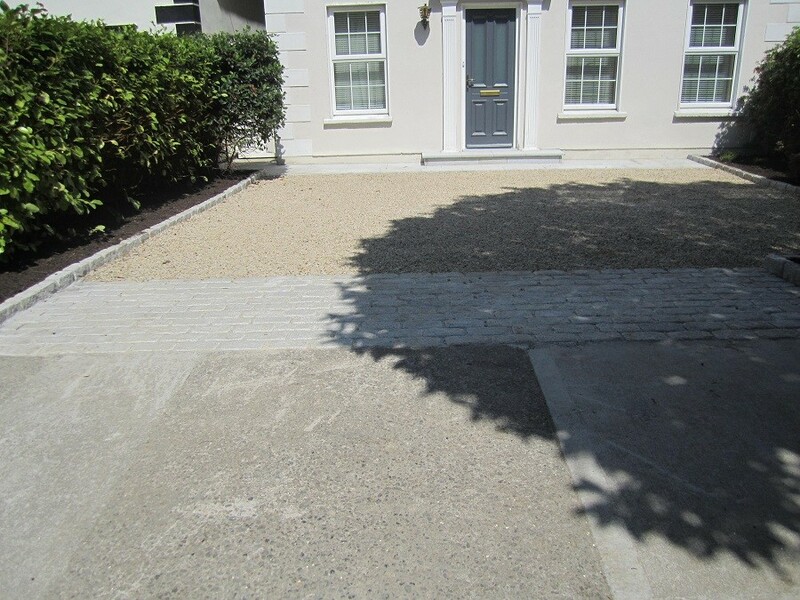 The design for the front was a simple Ballylusk gravel driveway with widened entrance, silver tumbled cobble apron and raised cobble edge for beds. 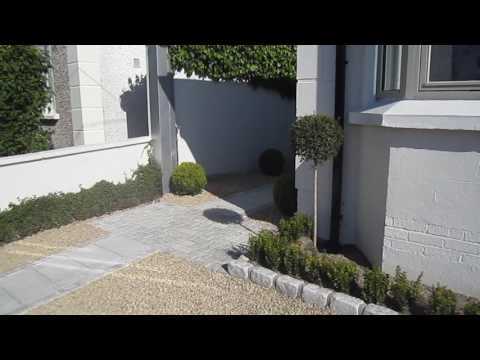 A path and step bordered the house, using 600×300 brush hammered silver granite slabs. 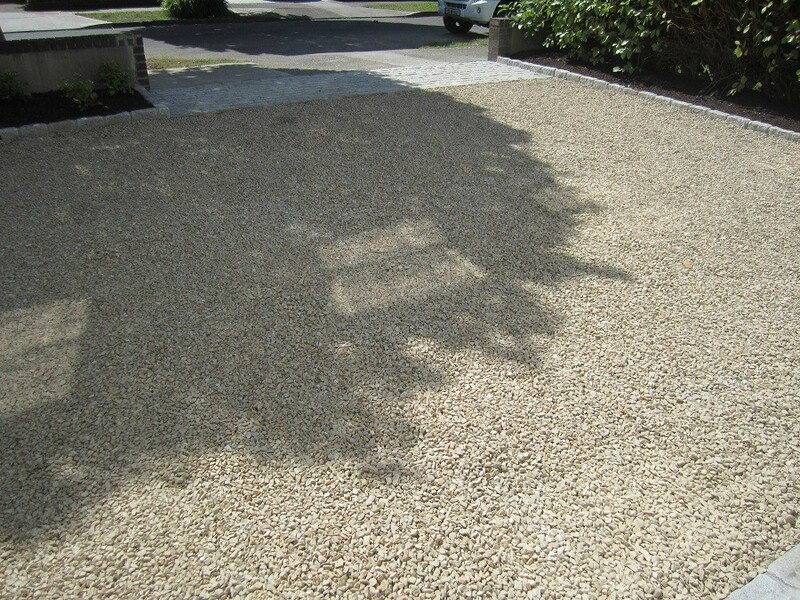 Because the driveway was sloping towards the house a french drain was installed 1M from the path to remove excess water. 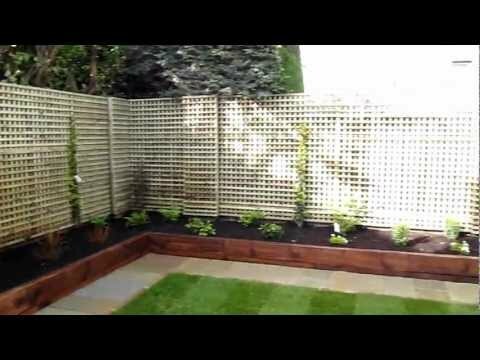 The beds were planted with suitable plants to deal with dry conditions created by the Grisellinia hedges. 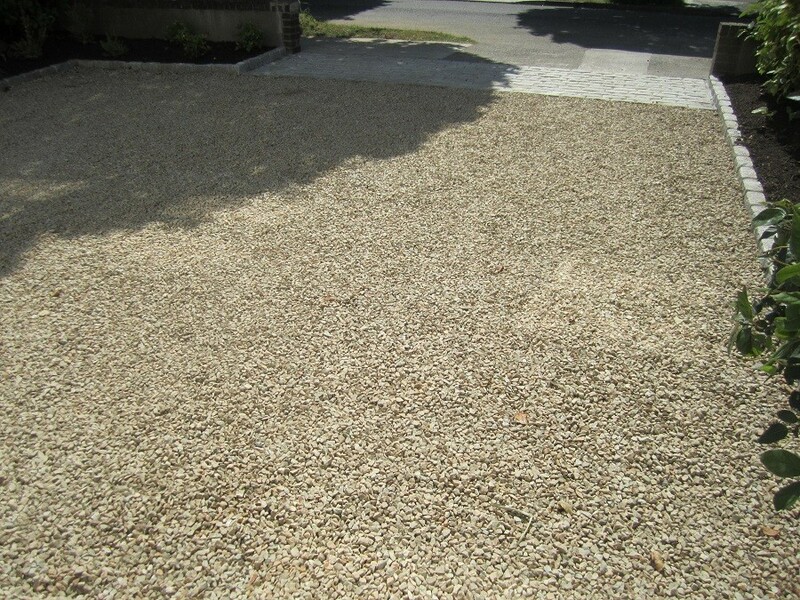 Geo-textile matting was laid around the plants and covered with 50mmn Greenking soil conditioner to reduce maintenance. 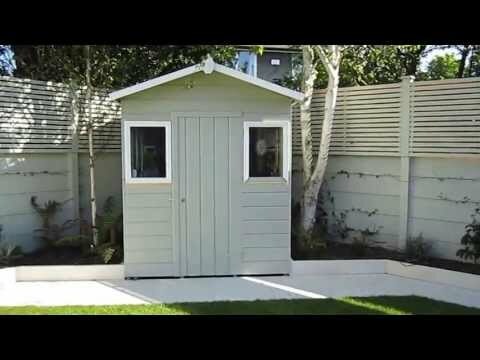 The design for the back was more contemporary in nature, including, raised beds, raised lawn, sunken path leading to 8×6 Baumanns garden shed painted Ronseal white and framed with two standard Bay Laurels, new pressure treated Spruce fence, patio with feature seat, low voltage Collingwood garden lighting scheme and simple planting. 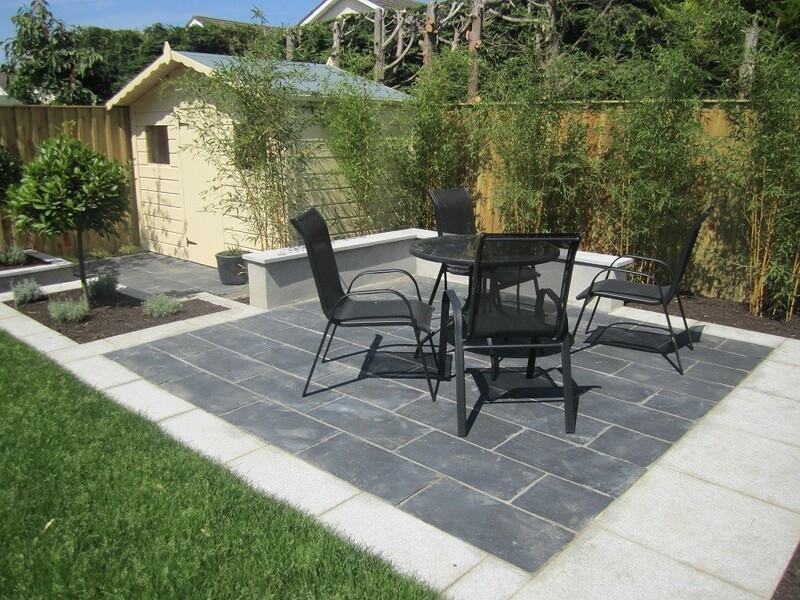 The choice of materials was also simple, contrasting silver granite with black limestone creating nice interest and depth. 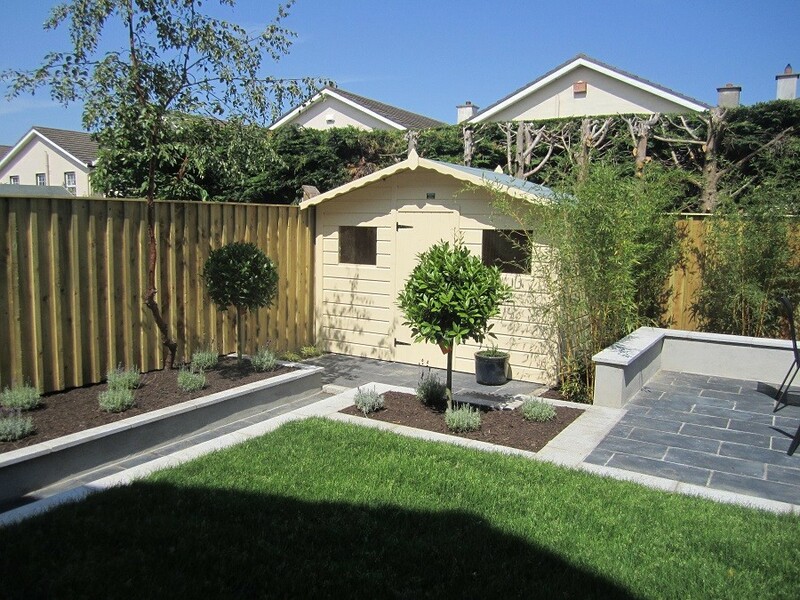 The client was very happy with the results as we completed the landscaping project in time and within budget, if you require an award winning Designer/landscape contractor contact Kevin Baumann on 086 8198444.